Our goal at Lasting Impressions is to lift everything you do – HIGHER! Trend setting styles to propel your brand forward. Copper lined products to keep hot drinks hot up to 12 hours and cold drinks cold for 24 hours. Innovative decorating techniques to create unique “mobile billboards” that promote your brand. 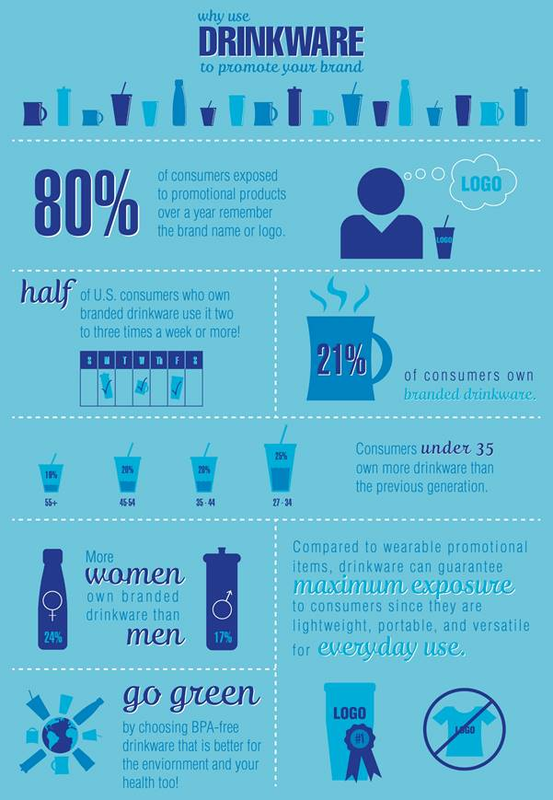 You may be surprised to know, half of US consumers who own branded drinkware use it more than two times a week! See the diagram below to learn more. Ready to see the latest styles in coffee mugs and tumblers? We invite you to shop our favorite drinkware supplier. Contact us with the product number and order details. We will work with you to provide a quote and/or virtual sample featuring your artwork. Want to see a physical sample? We can order one for you.